The backlit keyboards are a trend in this generation. Every next laptop you see comes with the keyboard with led lights shimmering around the keys. Along with being beautiful, this feature is also very handy for people like me who like to play games at night. However, sometimes you might feel the need to turn off keyboard light. And, we never take a look at the manual that comes with our newly purchased laptop. Therefore, I’m here to help you with How to turn off Keyboard light on various laptops like Dell, HP, Sony, Lenovo, etc. After going through this post, you’ll learn the way to turn off keyboard light on your laptop. 2 How to turn off keyboard light on different laptops? 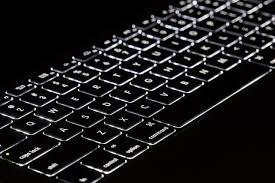 A backlit keyboard also called as an illuminated keyboard is a keyboard that has lights inside the keyboard. The lights present inside provide illumination behind and around the keys so they can be seen in low light or dark surroundings. The source of light is usually composed of mini LED light bulbs. This is because the LED light bulbs are energy efficient and have increased brightness. The illuminating keys come very handily for users who use their laptops late at night or in the dark. Also, it appears very pretty as well as classy. A backlit keyboard is generally used by computer gamers or people who prefer to work on their system in the darker environment. Nowadays, most of the laptops have the backlit feature in their keyboards, especially the gaming ones. Without further stretching, let’s proceed to the part where I’ll explain how to turn off keyboard light in the laptops of different brands. How to turn off keyboard light on different laptops? Different brands of laptops have different ways to turn off keyboard light. We’ll take a look at several popular brands one after another. You can skip to the part where the brand of your laptop is listed. Although, if you are curious, you can just read through it all. Let’s begin. Step-1: Find the backlight icon (image below) on the keyboard of your laptop. Usually, it’ll be on the F5 Key. Step-2: Press the F5 Key on your keyboard to turn off keyboard light. In case if it doesn’t, try pressing the Fn and F5 keys together to do the task. Also, if the backlight icon is on any other key than F5 in your laptop, you are required to press it then. Note: You can use the same procedure again after turning the keyboard light off in order to turn it on again. After all, the backlit keyboard is pretty useful. Done. 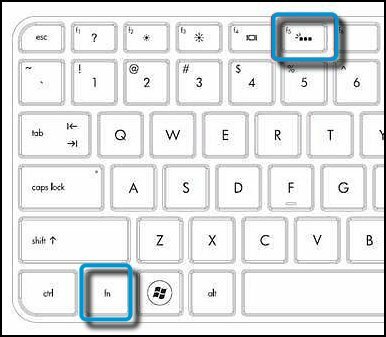 That’s how you can turn off keyboard light and turn it back on in HP Laptops. The Dell Vostro series, Precision series, Inspiron series are some of the well-known laptops having the backlit keyboard feature. 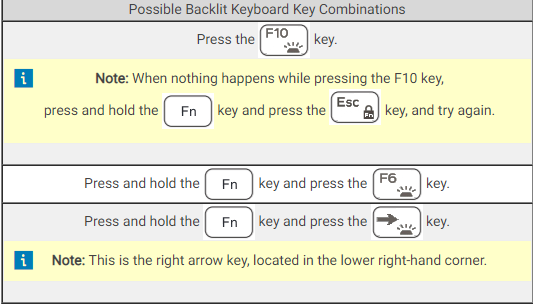 If you want to check if your Dell laptop has the backlit keyboard or not, look at the F10, F6 or the right-hand arrow (located in the lower right-hand corner) key, to see if the illumination icon is printed on it. If the backlight icon is not printed on either of them, your laptop is not equipped with the backlit feature. Step-1: Remember that your BIOS should be updated to the latest version. For brief information about what is BIOS and, how to download and install the latest version of it, visit here. Note: When the computer boots into Windows, shut it down and try again. Step-3: Now click the + sign present next to System Configuration. Step-4: Next, click on Keyboard Illumination. Disabled or Off: The keyboard illumination will always be off. Dim: The keyboard illumination will be at half brightness. Bright: The keyboard illumination will be at full brightness. Select the Disabled or Off and, click on Apply and then Exit. Done. Also, you can repeat from Step-1 to Step-5, and then choose the 2nd or 3rd option to turn the keyboard light on again. Step-1: Press the Fn and Space bar together to turn off the keyboard light of your Lenovo laptop. Note: You can press the same combination again to turn the keyboard light on again. Step-1: Click on Start and then go to Control Panel. Step-2: In the Control Panel, click on System and Security. Step-3: In the System and Security wizard, click on VAIO Control Center. 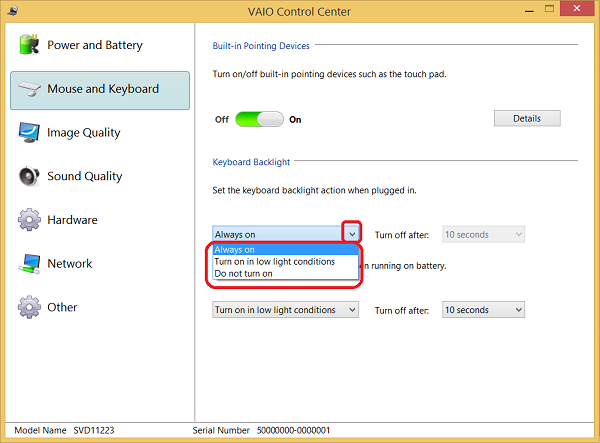 Step-4: In the VAIO Control Center wizard, click on Keyboard and Mouse, and then click on Backlit KB. Step-5: To disable the backlight feature, select the “Do not turn on” option under Keyboard Backlight wizard. Also, uncheck the Turn on in low light conditions box. Note: You can repeat from Step-1 to Step-4. and then select the “Always on” option under Keyboard backlight wizard to turn on the keyboard light again. In case you are facing issues with the Touchpad of your laptop, take a look at Fix Touchpad not working problem here. So that’s how you can turn off keyboard light in your laptop. If you have any other brand and wish to learn about its method as well, ping me in the Comments section below. Also, you can visit there for any queries, doubts or suggestions as well.